Data should play an obvious role in your pricing and distribution strategies. Your key performance indicators should influence your pricing strategy and your distribution management to yield the most profitable situation. Often times, independent hoteliers know and want to keep track of their performance metrics but don’t always have the tools they need. But the good news is that there are more tools available than ever before. New age property management systems and analytics tools make it easier to keep track of the most important performance numbers. Most properties keep an eye on the industry’s most basic key performance indicators like occupancy rate, average daily rate, and revenue per available room. Average Daily Rate (ADR) - A simple metric used to calculate the average rate per occupied room. How to calculate ADR: total room revenue / total rooms occupied. Revenue Per Available Room (RevPAR) - another simple metric similar to ADR, but you include your remaining inventory (rooms/beds/etc) alongside your occupied rooms. You divide total room revenue by total rooms available or multiply ADR by your occupancy percentage. These metrics are great for getting a high-level idea of how your individual property is operating. But, in order to understand how your property is actually performing, more complex KPIs are needed. One of the best ways to determine how your property is faring is to compare it to similar competitors’ performance. Competitive benchmarking is the ongoing process of comparing your business’ performance to your most important competitors. In order to benchmark against your competitive, you need to create a competitive set. A property’s comp set should include 5-10 properties that your property directly compete with, even if they’re not in the immediate geographic area. As a property operator, you likely already know who your competitors are off hand. But, in order to more accurately benchmark, we highly suggest you write it down and start tracking performance over time. Pricing intelligence tools help help properties keep track of their competitors and benchmark their performance. Today, there are more tools available to small and medium-sized property owners to stay in the know. Here are some of the key performance indicators to look at within your competitor set. ARI measures your ADR against your competitive set’s ADR. ARI will tell you how high your ADR is comparison to your closest competitors. If the number is below one, you know your ADR is lower than your competitor's and vice versa. Your property should compare this number to other KPIs like your occupancy percentage to gather insights. For example, if your occupancy is low and your ARI is high, you know you’ve outpriced yourself against your competitors. And if your occupancy is high and your ARI is low, your revenue could likely benefit from an increase in room rates. Another important competitive KPI is MPI, which compares your occupancy percentage to your comp set’s occupancy percentage. Occupancy is a high-level metric, but this will allow you to see how your property compares to others. There are a lot of factors that influence occupancy and it’s best to monitor MPI over time to determine trends. If your MPI is consistently low, then you may want to identify the influencing factors i.e. price, value, etc. Key performance indicators are great, but they only work if you look into the factors behind them. And finding meaning behind these numbers begins with keeping track of them. Hotel analytics dashboards and interactive graphs will help your property make more consistent and effective changes to your pricing and distribution strategies. Most properties experience some sort of seasonality and data can help identify when and how demand affects reservations, occupancy, and distribution. With data, properties can identify trends and respond accordingly. 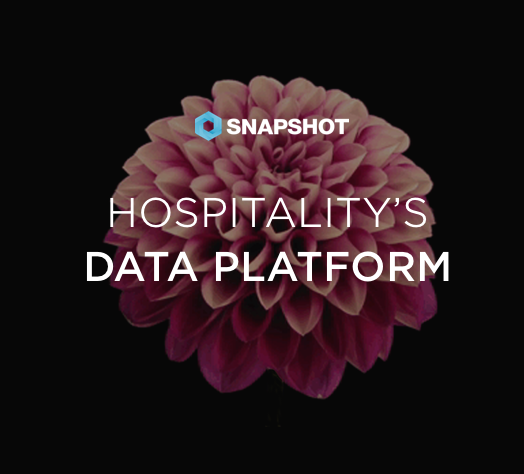 As more software solutions become available, it will be imperative for hoteliers of all sizes to embrace data analytics. The travel market is becoming increasingly more dynamic and the big players are driving consumer-level marketing campaigns. In order to stay ahead of the curve, it’s time to embrace data and pricing analytics tools.